Read about - Pentland Caravan Park below. 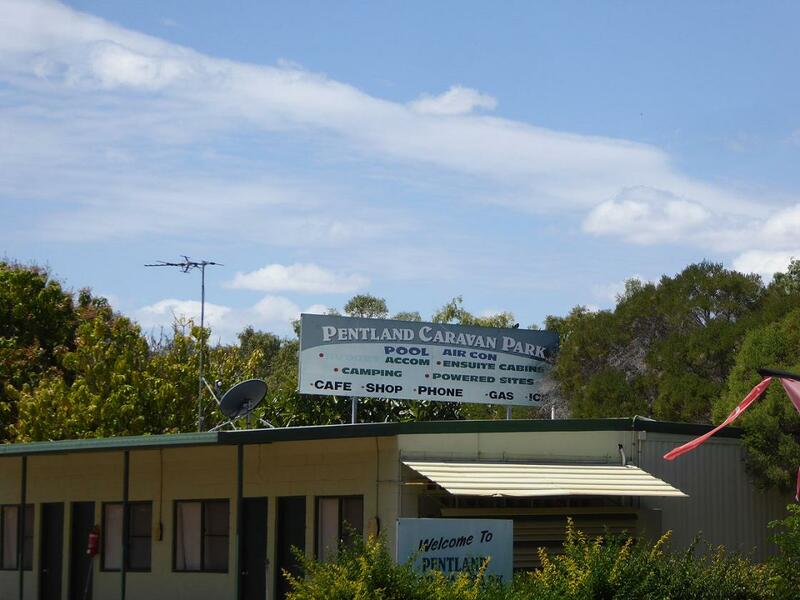 Pentland is a small town in outback Queensland located on the Flinders Highway between Hughenden and Charters Towers. The highway travels through White Mountains National Park and there are rest areas with great views of the surrounding hills. We stopped at this small town and enjoyed lunch in lovely shaded spot along the wide main street. Plenty of space to pull off the road while town the caravan. Pentland has a caravan park with plenty of shade and lovely bougainvilleas. This park is pet friendly and very cheap for an overnight stay in the caravan. They have drive through sites big enough for large motor homes, tent sites and cabins. Other facilities include amenities block (with laundry), dump point, telephone, shop/kiosk, camp kitchen, barbecue and pool. have you been to Pentland Caravan Park? Explore Pentland Caravan Park with RvTrips and find out where to stay, what to do and what to see. Helping caravan, motorhome and camper owners have a great holiday.